Power outages are always seriously inconvenient, regardless of how long one may last or how frequently they may occur. Investing in a good generator in Newington, CT is necessary if you hope to keep the power in your home flowing, even when the electricity from the grid cannot make it to your home. Choosing the right generator for your needs is vital, though. If you do not have a generator that suits your situation and output expectations exactly, then you will find that you are not much better off than you’d be without power at all. Whole-house generators and portable generators are both available to homeowners in our service area. 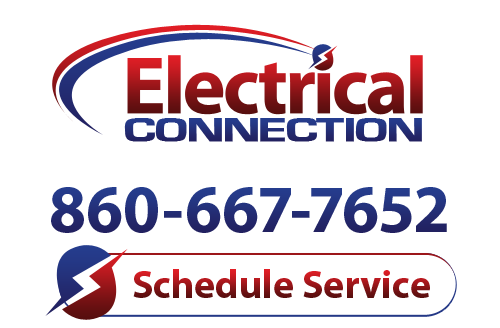 If you’d like to schedule services for either type, Electrical Connection, Inc. is the company to call. Will a Portable Generator Do? Portable generators are the type of generators that most people will envision upon hearing the term. They are compact, and must be filled with fuel by the owner, as hooking up to a natural gas line would not allow for the portability inherent to such systems. You plug appliances and electronics directly into a portable generator, as you may have seen at campgrounds or tailgating parties. The great benefit of a portable generator is, of course, that it can be moved about as needed. If you are planning on using a portable generator to power systems around the house in the event of an electrical outage, though, you must keep in mind that they have fairly limited output levels. You will have to pick and choose carefully which systems will be plugged in at any given time, and you will have to manage the fuel source and power settings manually. Is a Whole-House Generator Worth It? In terms of comprehensive coverage, a whole-house generator is tough to beat. Such systems may be outfitted with an automatic transfer switch, meaning that they will come on automatically when the power cuts out. Whole-house generators are wired into the electrical panels of homes, and can use natural gas or large propane tanks for fuel. They are very convenient, and able to provide more coverage than portable models. If you experience outages very infrequently, or only want to keep a few appliances running, a portable generator may do. For wider applications, though, a whole-house generator is advisable.